“Can you think of the one person whose love has shaped you more than any other? For me that person was my Oma. She taught me to always look for the beauty everywhere and in everything, and in so many ways helped shape the eyes through which I see the world. From ballroom dancing around the living room while she held me in her arms, to reading Mother Goose rhymes every single day, to searching for the perfect fall leaves and pinecones to add to our collection, as I grew up the time I spent with her formed my heart in countless ways. She passed away early Sunday, October 21st, and though we’ve been expecting it for a very long time now, I still feel like a large piece of my heart is suddenly missing – and it always will be. But I know that she is home in heaven, surrounded by God’s beauty and dancing once again.” This was posted by Gisela’s granddaughter, Shandi Dahlstrom, upon her passing. Our dear sweet mother and Oma is now dancing in heaven. 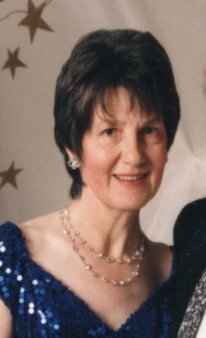 Gisela Henderson passed away in Monroe, Washington at the age of 85 years young. Gisela was born on May 31st, 1933 in Riga, Latvia to Ewald and Lore Jurgensen. Gisela grew up with two younger siblings, Ingrid and Uve. She had a wonderful childhood in Riga until the Russians invaded Latvia. In order to ensure their safety, Gisela and her family were forced to leave their home and everything behind as they fled on foot. By the grace of God, Gisela and her family were survivors of WWII. After the war, they found a place to call home in the small German town of Friedrichsfeld. Gisela joined the neighborhood Lutheran church and became a Sunday school teacher. Her first job was in a toy store at the age of 15. Through their church, Gisela and her best friend, Hedi Schroeter, answered a call for help and accepted positions in Switzerland taking care of children and the developmentally disabled. Gisela’s family was very proud of her when she earned her business apprenticeship. Gisela went on to work for an attorney in a law firm and later accepted a position at a bank. When he was stationed in the US Army, Gisela met Morris Henderson. They were married on April 7th, 1961 in Mannheim – Friedrichsfeld. They moved to Bellevue, Washington and Gisela went to work for the German Consulate and the Health Department. Together they had two children and purchased their home in 1965 in Lynnwood, Washington. Throughout the years, Gisela was a devoted loving wife, mother, and Oma. She made birthdays, holidays, and the everyday moments special. Gisela lived life enthusiastically and she was always eager to experience all that life had to offer. In her senior years, Gisela attended Edmonds Community College, worked for See’s Candies at the Olympic Four Seasons Hotel in Seattle, and spent many wonderful evenings with friends dancing the night away at the German House Ballroom in Seattle and at the Hyatt Regency Grand Ballroom in Bellevue. Gisela found great joy in gardening and feeding a menagerie of wild life in her back yard. In her later years, she even tamed a wild little Chickadee to fly down and eat from her hand. Gisela had a great love for animals and was a member of PAWS (Progressive Animal Welfare Society) for a number of years. Gisela is survived by her daughter, Lore (Kishore) Dahlstrom, and son, Donald (Sherri) Henderson. She leaves behind her three grandchildren, Shandi Dahlstrom, Naryan Dahlstrom, Victoria Henderson; and she is survived by Victoria’s mother, Laurel Henderson. Gisela is also survived by her sister, Ingrid Olson, and Ingrid’s children, Sven Olson, Karen (Jeph) Payne, Ralph Olson; and she also leaves her brother, Uve (Susi) Jurgensen and their children; Udo (Anja) Jurgensen and Britta (Aytac) Jurgensen. And last but not least, Gisela leaves behind her beloved dachshund, Maxi. Gisela will be missed immeasurably by all of us. However, we take great comfort in knowing that she is in the loving arms of our Lord and Saviour, Jesus Christ. A private family gathering will be held at a later date in time. In lieu of flowers, donations can be made to Gisela’s favorite charity at www.PAWS.org. A private family gathering will be held at a later date in time. In lieu of flowers, donations can be made to Gisela’s favorite charity at www.PAWS.org.